I ended Part 2 of my 2018 SHOT Show After Action Report with a nod to 8541 Tactical and how I ran into Mr. John McQuay at the Accu-Shot booth. 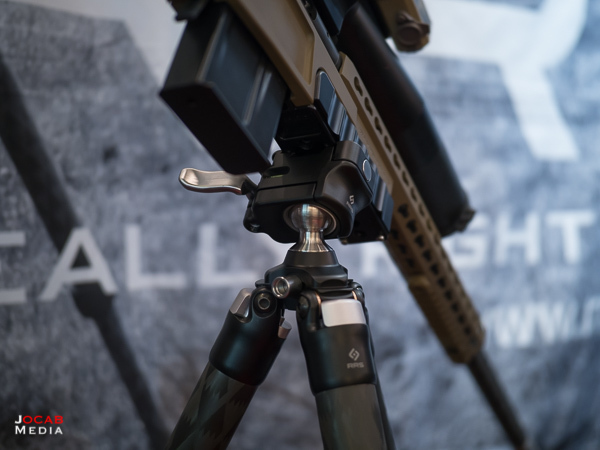 I was at the Accu-Shot booth because I wanted to check out the new Atlas BT65 bipod. Also referred to as the Atlas CAL, for Cant And Loc. The Atlas BT65 CAL addresses the one complaint I have with the Atlas BT46 PSR: the panning feature. The PSR will pan no matter how hard you lock the panning knob. This irritates me to no end, but perhaps it more of a personal complaint because I am such a poor bipod shooter. For me, the panning feature not being able to lock down completely results in the rifle resetting off target because the recoil causes the rifle to pan. Since I am a less than stellar bipod shooter, and my form is not perfect, the rifle does not recoil and reset in perfect alignment to the target. I tend to favor the Harris Bipod because it does not pan, and I tend to shoot a lot better on the Harris over the Atlas PSR. Anyway, the elimination of the panning feature on the BT65 CAL has got me wanting to try the Atlas again. The BT65 retains one feature I did like on the PSR and that is the non-rotating legs/feet. The Harris Bipod S-BRM has rotating feet, so if you put too much forward pressure (pre-load) on the rifle, it can cause the bipod to move forward due to the feet rotating/spinning. The PSR did not have this problem since the legs did not rotate. 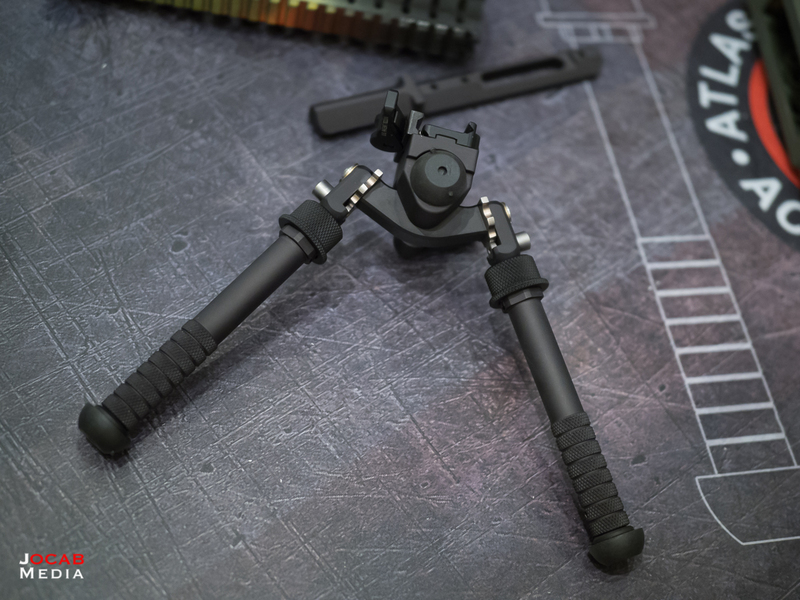 If you place forward pressure on the bipod, the feet were gripping the surface and not spinning. Unfortunately, the Atlas BT65 CAL is not compatible with the existing Really Right Stuff SOAR Atlas adapters. I had intended to buy the BT65 CAL and get the RRS SOAR BTC-PRO so I can run the BT65 CAL on any Arca-Swiss dovetail or Picatinny rail. A RRS SOAR representative indicated at the SHOT Show that he had not handled the BT65 CAL, yet, but it looked like the way they designed the CAL may have deviated enough from the other Atlas designs such that the RRS SOAR adapters would not work with it. The representative said he would find out more during the SHOT Show after he got time to take a look at the BT65. In a followup with RRS SOAR after the show, RRS confirmed that their BTCA and BTC-PRO will not fit the Atlas BT65 CAL. So right now, I am on the fence on acquiring one. Addendum 2018-01-30: Accu-Shot reached out to me after they became aware of the statement made above. According to Accu-Shot, the BTC-PRO *will* in fact fit the BT65 CAL, and sent me some smartphone photos showing the BTC-PRO installed on the BT65 CAL. There is adequate clearance for the BT65 CAL to cant left and right. They are going to work with Really Right Stuff to correct any miscommunication and misunderstandings regarding the BT65 CAL design and the RRS SOAR adapters. Really Right Stuff SOAR has confirmed the BTC-PRO will fit the BT65 CAL, but indicates the BTCA with the level release clamp is not fully compatible with the BT65 CAL due to fitment issues. Given the updated information, I will be buying a BT65 CAL and a BTC-PRO. I am looking forward to trying out the CAL to see if I like it more than the PSR. 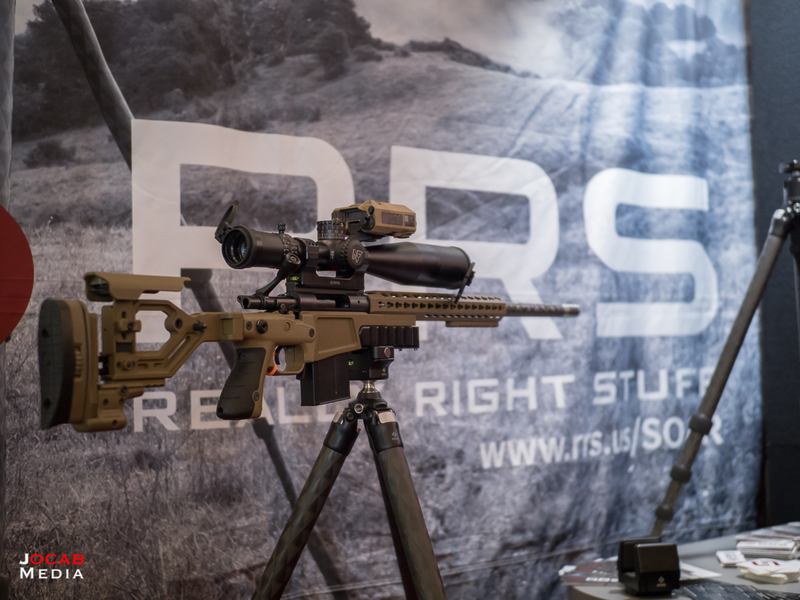 Speaking of Really Right Stuff, they were present at the Rifles Only booth showing off products in their Sports Optics and Rifle (SOAR) line. If you look closely at the above photo, you will see a brand new tripod head dubbed the Anvil-30. The Anvil-30 is a head specifically designed for rifle shooting. It eliminates the large knobs found on traditional ballheads such as their BH-55 and replaces it with a lever. It is surprising how much better it is to use a lever to lock down the ball than it is to spin a knob back and forth. The Anvil-30 does look like a lot cleaner, sleeker, and lower profile ball head than the RRS BH-55. The load capacity is actually rated in torsional force at 30 ft-lbs. The traditional RRS ballheads are rated for load directly above the head. For example, my BH-55 is rated for 50 lbs. The 30 ft-lb torque rating on the head makes a lot more sense in terms of load capacity since the rifles being used on tripods are displacing weight away from the center of the tripod base. Then of course, the operator is placing more force on the rifle stock. I did not get the price, and the price is not available on the RRS SOAR ANVIL-30 product page. The Anvil-30 will be available for pre-order starting 2018-02-15, so a price should be available at that time. I anticipate the price will be in the $450 range. If you pay even closer attention to the photos of the Anvil-30, you will notice the lever clamp is also new. The new RRS SC-LR SOAR Lever Release Clamp is designed specifically for rifle shooting applications. 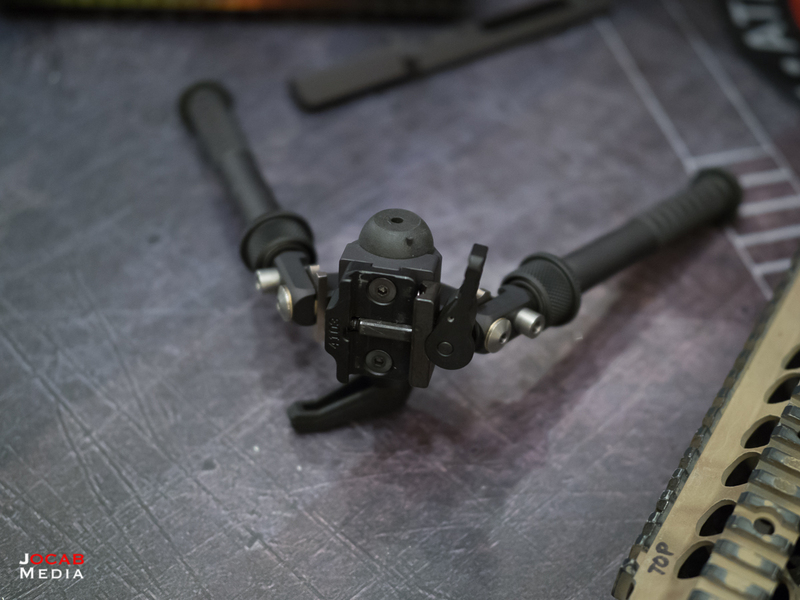 While previous lever clamps sold by Really Right Stuff were pre-existing clamps from their photography focused product line, this was built for shooting applications. 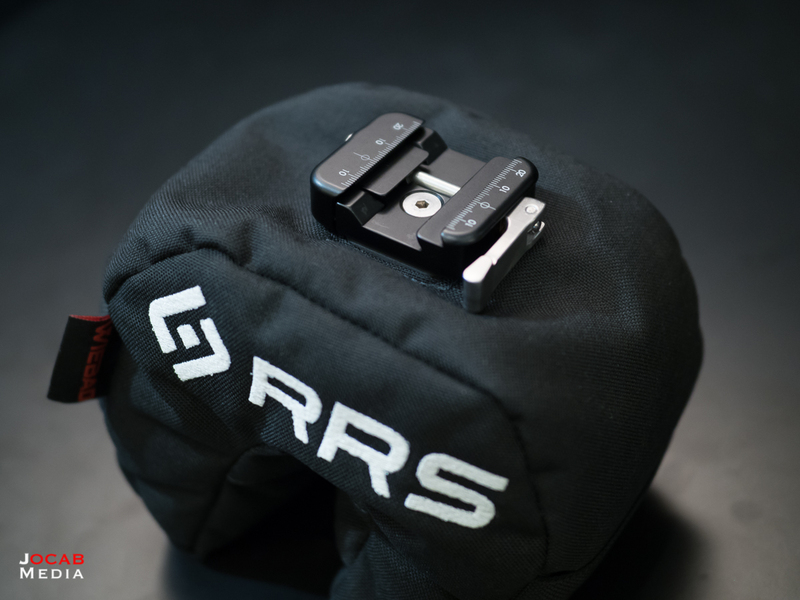 RRS SR-LC SOAR Lever Release Clamp on WieBad DRC Fortune Cookie. The SC-LR is compatible with both Arca-Swiss dovetails and Picatinny, and the lever release is auto-tensioning within a certain range. The problem with lever release clamps that if they are not user adjustable for tension, any rail that is out of specification for that clamp will not be ideal, and the clamp will either fail to close or be too loose. With a screw knob style clamp, this is mitigated because the user will simply tighten the clamp down until it is snug. 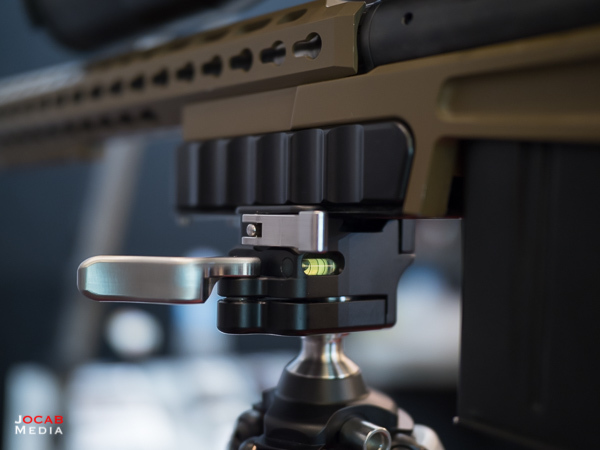 A lever clamp for Arca-Swiss is easy for RRS to design because they simply set the clamp tension for their dovetail specification which the majority of firearms accessory manufacturers are following. Making a lever clamp for Picatinny on the other hand is difficult because while there is a specification for Picatinny (since the MIL-STD-1913 rail is an actual published standard), manufacturers are often out of specification due to machining issues and coatings applied. But when you combine two dovetail types into a single non user adjustable lever release clamp like RRS did with the SOAR Lever Release Clamp, it becomes a fairly significant design feat. The lever swivels so that it can be oriented to operate to or away from the shooter on the open/close action, depending on the shooter preference. The SC-LR SOAR Lever Release Clamp is going to run for $145 USD, and is more expensive than two of the lever release clamps that RRS SOAR has previously recommended for shooting applications, their B2-40 ($105) and B2-AS ($120). These clamps are going to be some of the priciest clamps on the market, but given the history of RRS and their quality of machining and designs, they are setting the bar for tripod and mounting applications. Sharing the Rifles Only booth with Really Right Stuff SOAR was Fix It Sticks. I discovered Fix It Sticks multi-tools and torque limiters in 2015, and have been a user of the tools ever since. I have several sets in various configurations that I customized for my specific applications. 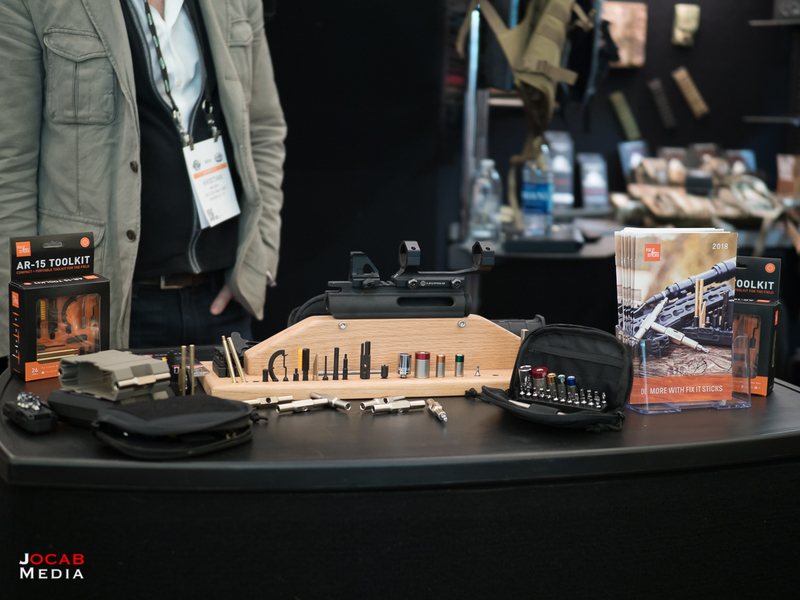 While at the 2018 SHOT Show, Fix It Sticks displayed the wide array of accessories and kits they now have available. 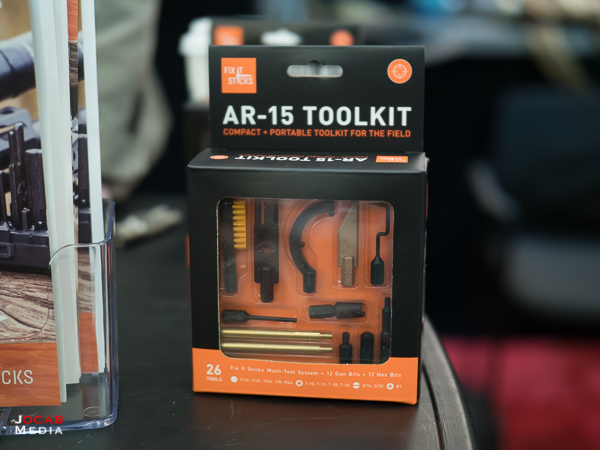 The most notable new item in the Fix It Sticks product line is their AR-15 toolkit. This kit is available in both a hard and soft case configuration, depending on user preference. The AR-15 kit will be available in February 2018 at a price of $65 for the hard case kit or $70 for the soft case kit. Fix It Sticks also has a Glock Tool Set that consists of two 1/4″ drive bits: a 3/16″ front sight hex nut bit and a 3/32″ metal pin punch. Both these bits can be added to a pair of Fix Sticks to make a Glock Armorer’s Tool. 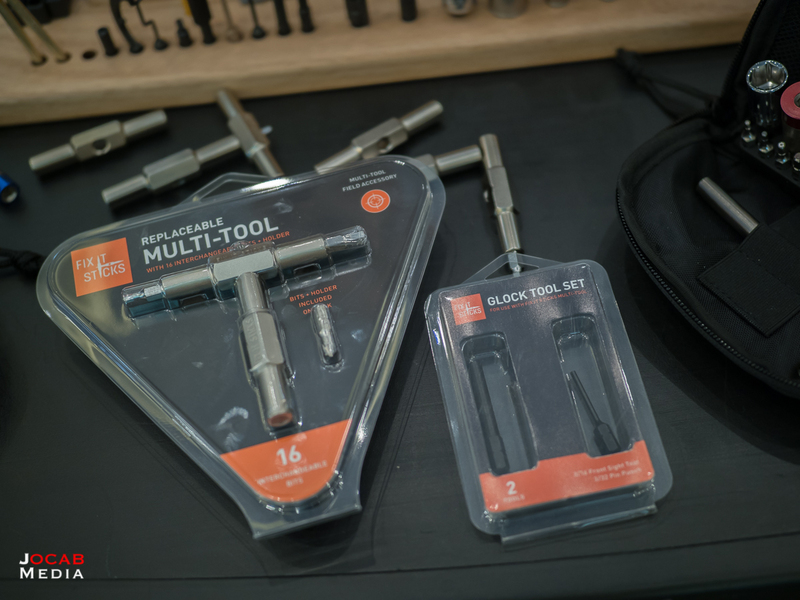 The Fix It Sticks Glock Tool Set should be available now for $13 USD. 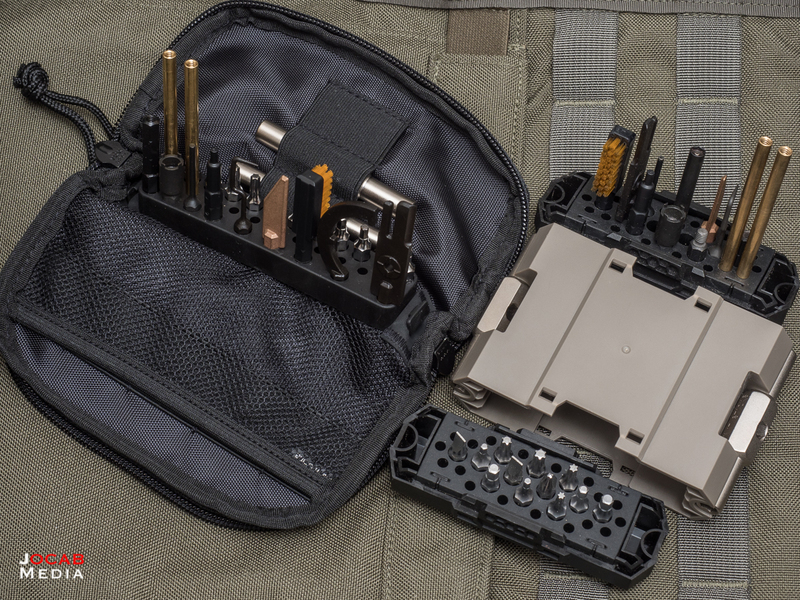 FYI: I was actually hired by Fix It Sticks late last year to create the product photography for the Fix It Sticks AR-15 tool kit and the Glock Tool Set. Disclaimer: I am not a paid endorser for Fix It Sticks. I have received a couple of free Fix It Sticks tools from FIS when I was asked to test some items out, but I have purchased the majority of the Fix It Sticks tools in my possession. 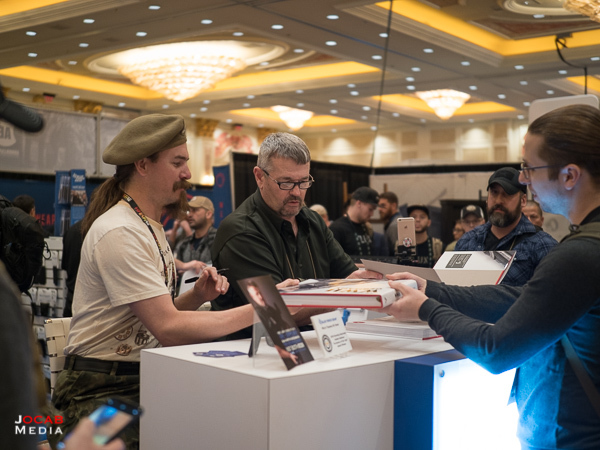 It is worthwhile closing out Part 3 of my 2018 SHOT Show After Action Report mentioning one of the many SHOT celebrities present at the show. Larry Vickers of Vickers Tactical fame was at SHOT Show 2018 signing the last in his Vickers Guide series of books covering firearms history. The most recent book is the Vickers Guide: WWII Germany, Volume 1, which covers the various German firearms from the 1920s throughout WWII. 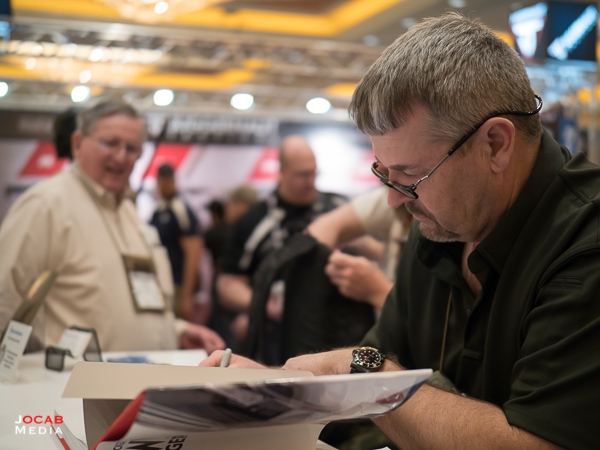 Vickers along with Ian McCollum of Forgotten Weapons were on hand at the Blue Force Gear signing copies of the book. The Vickers Guide books are a bit pricey at $95 a pop, but these are some of the best compilation of historical data and facts on the firearms each book covers. Not to mention the photography of authentic examples of each firearm gives the reader an excellent reference for these firearms. You can order your own copies directly from the Vickers Guide website. 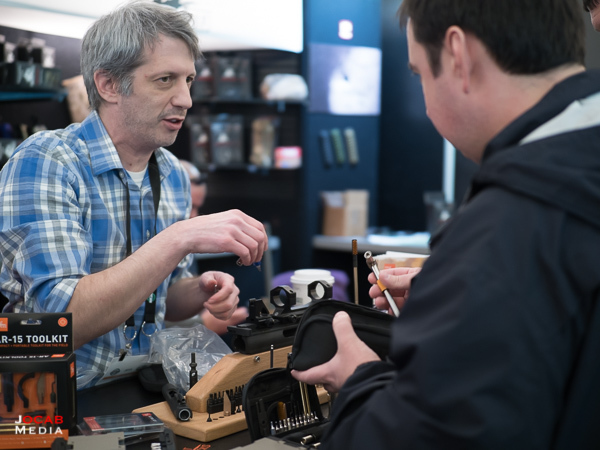 This ends Part 3 of my 2018 SHOT Show After Action Report. Stay tuned for Part 4 either by checking back on the site regularly, or referring to the 2018 SHOT Show After Action Report – Part 0 / Index article.